Sugar Realm's signature line of cakes, allows you to enjoy a Sugar Realm cake without investing the time and expense that goes into a custom designed cake. The collection as a whole offers several designs suitable for any venue, style, and season. We plan to add several designs every year to the Signature line, to reflect current fashion and our own style as it continues to evolve. 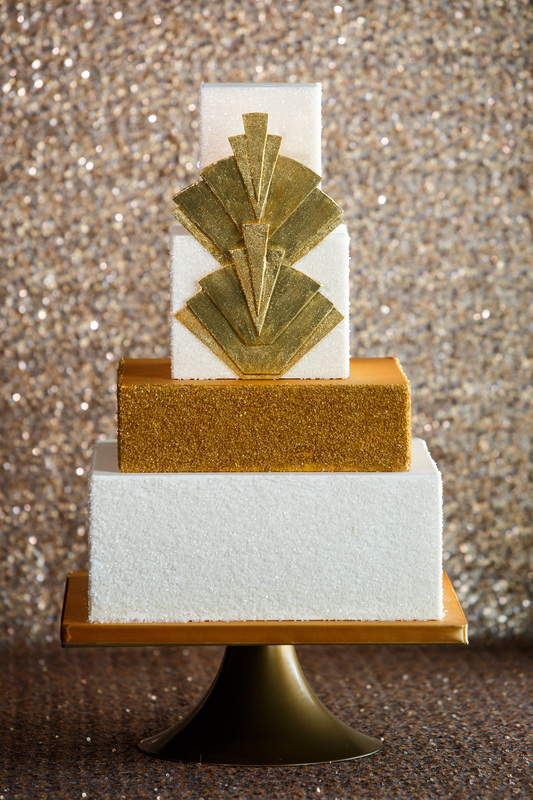 Like all Sugar Realm cakes, the signature line of cakes are decorated with hand-crafted sugar decorations, iced in gourmet rolled chocolate (never fondant) and all cakes and fillings are made fresh, from only the finest ingredients, baked the week of your event. Designs can be modified by changing colors and other details, adding decorations, etc. 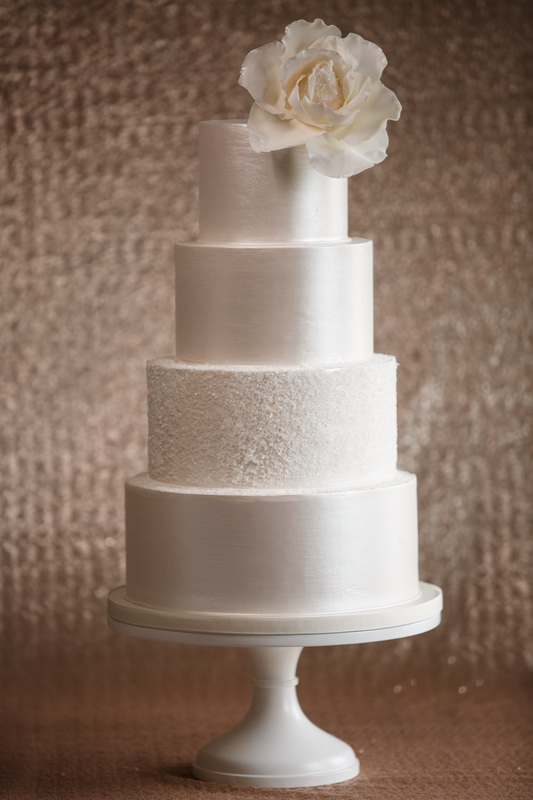 ​​Our catalog of pre-designed signature cakes, range between $6.50 to $8.50 per serving.​ Delivery within the Delaware Valley area and set up fees vary per distance to your venue. A variety of cake stands are available for rent at competitive rental fees. Brushed with pearl dust for shimmering. Offset tier adorned with sugar crystals. 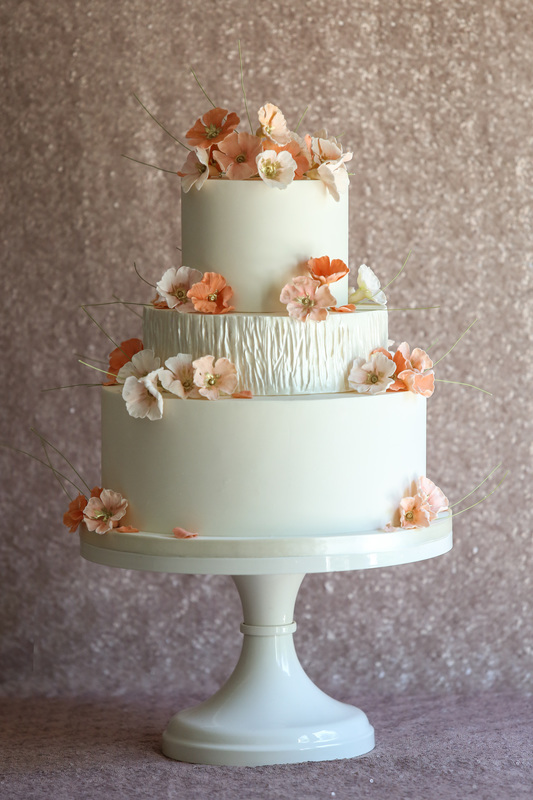 Topped with a statement sugar flower. Textured with nature inspired wood textures and Bas- relief details. Topped with an oversized frilly sugar flower. 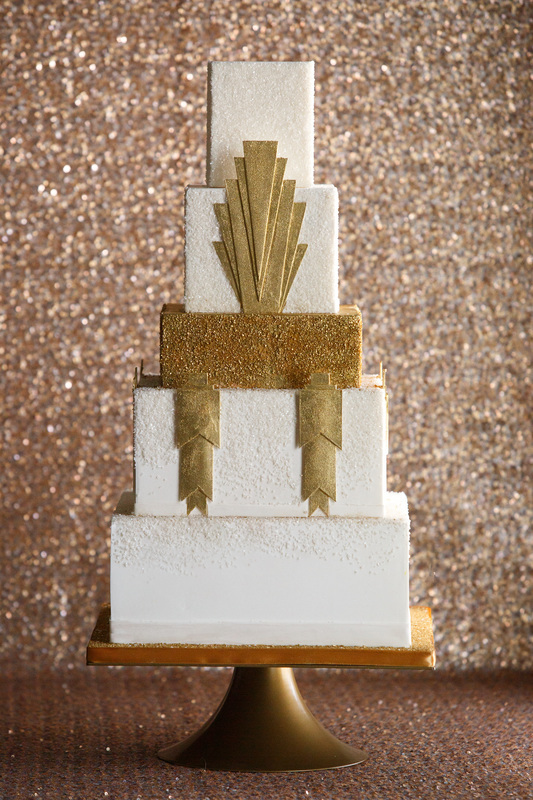 Inspired by architectural details of the Art Deco Era, accentuated with gold and pearlized sugar crystals for texture and dimension. 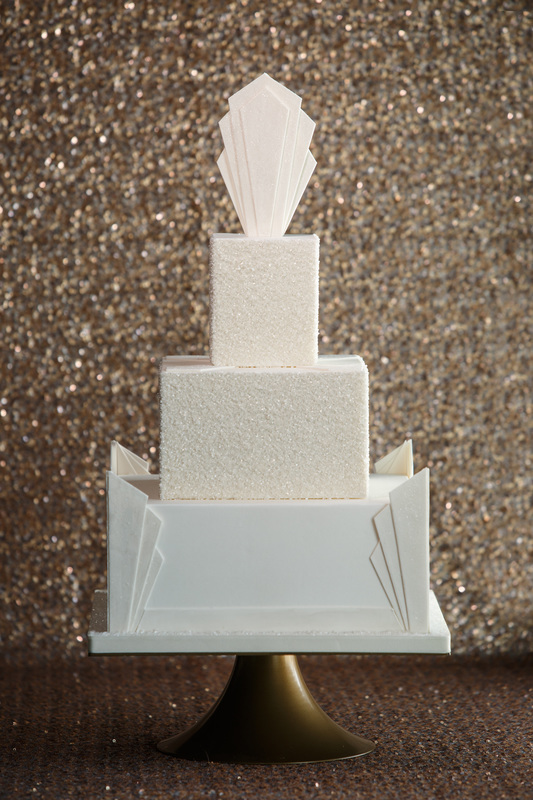 Inspired by the design motifs of the Art Deco Era, accentuated with pealized sugar crystals for texture and dimension. Inspired by jewelry and fashion statements of the Art Deco Era, accentuated with gold and pearlized sugar crystals for texture. 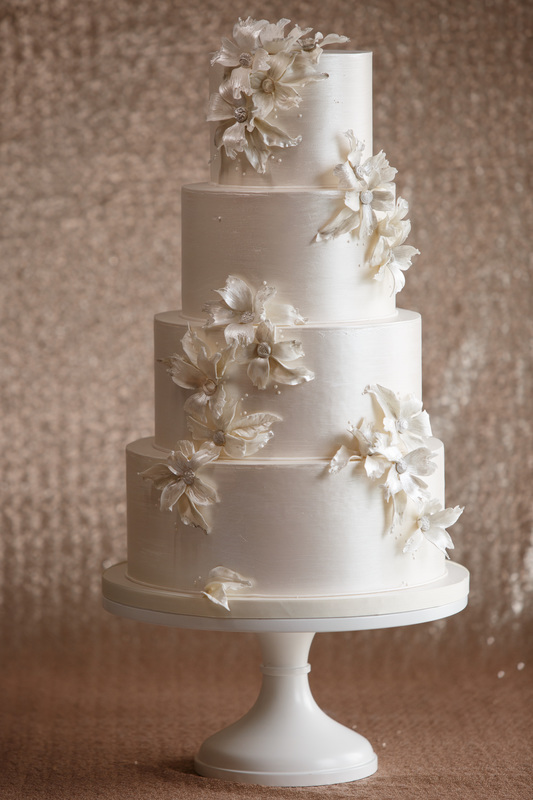 Glamorous golden slivered almonds adorned with an open statement sugar peonie along with falling sugar petals. Deceked with cascading wild sugar flowers in soft color variations, accentuated by s wood bark texture tier. 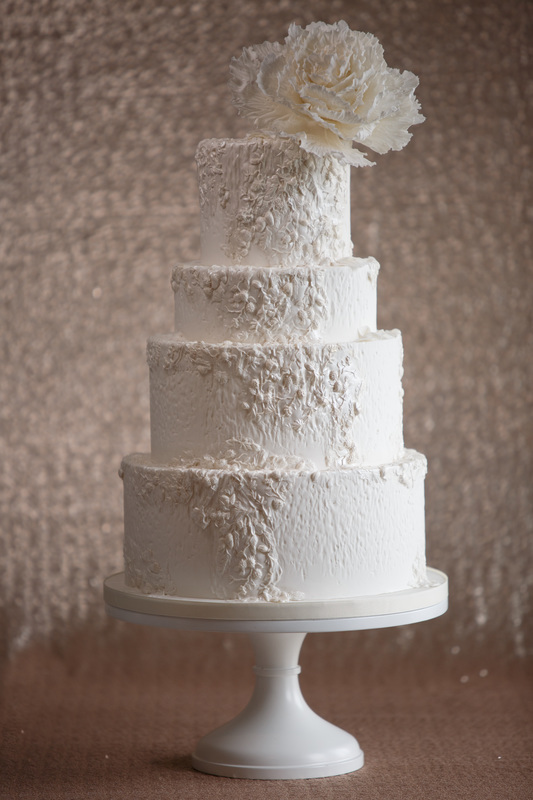 Romantic garlands of lace textured flowers and sugar pearls with double barrel top tier for composition. 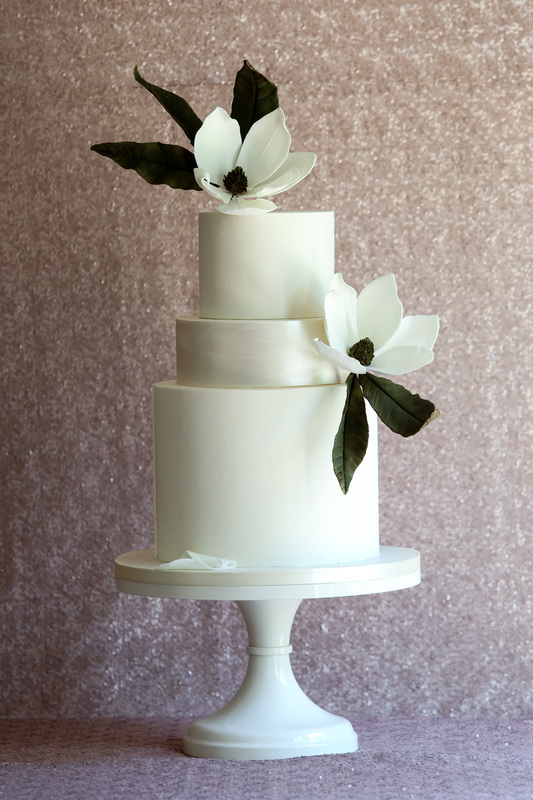 Organic and sophisticated statement sugar magnolias with a satin finished central tier. Double barrel bottom tier. 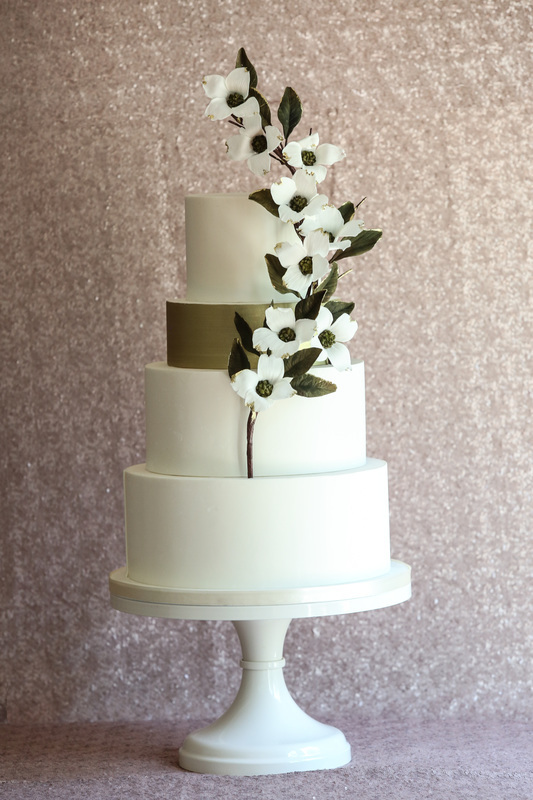 Inspired by vintage dogwood china, with branch of sugar dogwood flowers, anchored by a gold brush accent tier.